If there is one thing other than bridal that we LOVE doing, it is supporting other girl bosses. Today we are so excited to introduce you to our dear friend + Elle James bride, MRS. Sarah Daws Malouf. Sarah is a Memphis newlywed that adores all things health + wellness. She started Wellbeing.Wellbought after realizing that healthy food can be fun and delicious! She quickly realized her friends loved seeing her newest healthy creation + from there her @wellbeing.wellbought Instagram was born. We have personally loved getting meal inspiration from Wellbeing.Wellbought and know you will love following along too! 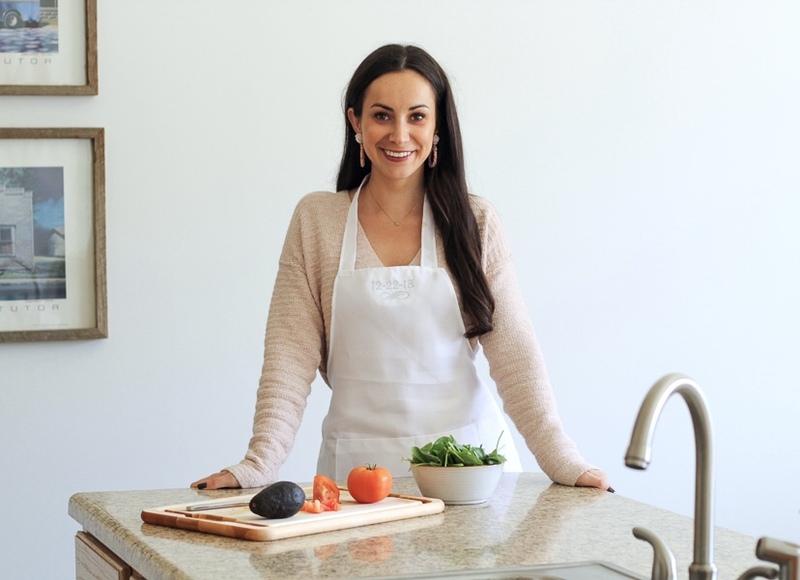 Sarah is currently a student at the Institute for Integrated Nutrition to became a Holistic Health Coach. Sarah is now offering her services to others that want to learn how to make healthy living part of their lifestyle and we are super excited to share that all Elle James brides will receive 15% off all services. Just mention you are an Elle James Bride! Whether you are a current bride trying to feel your very best for your big day, or you are a MRS. looking for someone to help teach you how to love living a healthy life, Sarah’s services are for you! We recently sat down with Sarah to hear more about Wellbeing.Wellbought. Here is more about her + her services! I customize my plan for each unique client! However, I mostly focus on health coaching, meal planning, grocery store guides/lists, and recipe development. I never want to feel like I'm stuck inside a box, & I definitely don't want my clients to feel that way either! 2. What specific services are helpful for brides? Every bride wants to look and feel their best on her big day. Through my own personal experience, I've found that restrictive diets & eating food that tastes like cardboard have never made me feel my best! Food (and yes, even healthy food) can and should be flavorful. Customized meal guides are a great way to help a bride stay on track without dreading meal time. At the same time, "health" is made up of so much more than the food we put in our mouths. One-on-one health coaching allows me to work with the client in multiple facets of life including spirituality, physical activity, relationships and career development. 3. How'd you get into this? About 5 years ago, I decided it was time for a lifestyle change. I "amped up" my work out routine, I started cooking and meal prepping at home, and I started listening to my body. It wasn't until about 2 years ago that I realized my food was boring and I should start eating more than bland turkey burgers and veggies! Cooking became a fun, creative outlet for me. I started sharing my food creations through social media (@wellbeing.wellbought) and shortly thereafter, I enrolled in school. The Institute for Integrative Nutrition has taught me so much and opened my eyes even more to the world of health and nutrition. 4. As a recent bride yourself, what are your top health tips for brides? Stop obsessing over your weight. Listen to your body and not a fad diet. Different things work for different people! For me personally, increasing my proteins and healthy fats while simultaneously increasing weights within my workout routine helped me feel my best. If you're starving come wedding week, you will inevitably feels cranky and moody- and trust me, nobody wants to be around a bridezilla! 5. I'm guessing you are wanting your clients to make this a lifestyle? Why do you recommend making lifestyle changes verse a "diet"? Absolutely. I am a strong believer in the belief behind "bioindividuality". Meaning, one person's pain is another person's pleasure. There is no "one size fits all" meal plan or exercise routine. It takes experimentation to figure out what works for you. We are all uniquely made, and I encourage my clients to embrace the "what works best for me" mentality. Interested in learning more from Sarah?! She can be contacted via email at wellbeing.wellbought@gmail.com, Instagram at @wellbeing.wellbought or on her cell at (901) 258-2662.